Chart No. 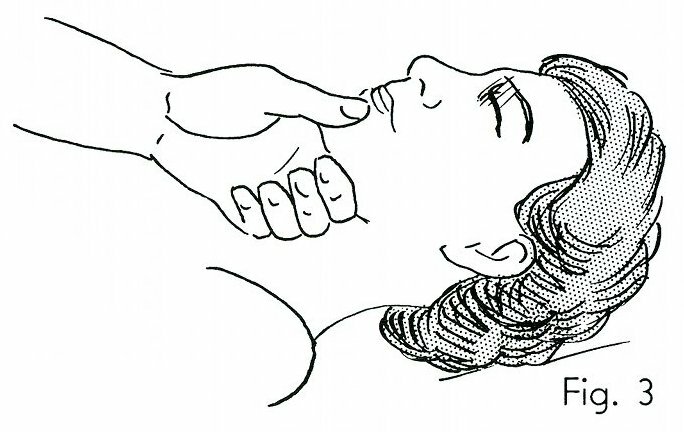 17 - Polarizing Throat Reflexes from the Web Between the Thumb and the Sore Spots on Top of the Head on That Side. Balancing current reactions by pressure contacts on the big toe and the chin on that side. 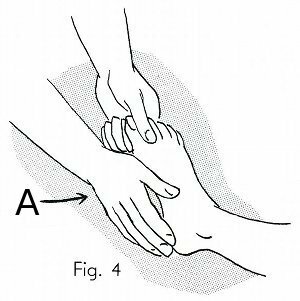 Polarity reflexes found in the joints of the big toe a mild shock treatment with respiratory reflexes, shoulder tension release and lengthening the usual short leg. See Chart 37, Book 2. Book 3, "Explanation of Chart No. 17"